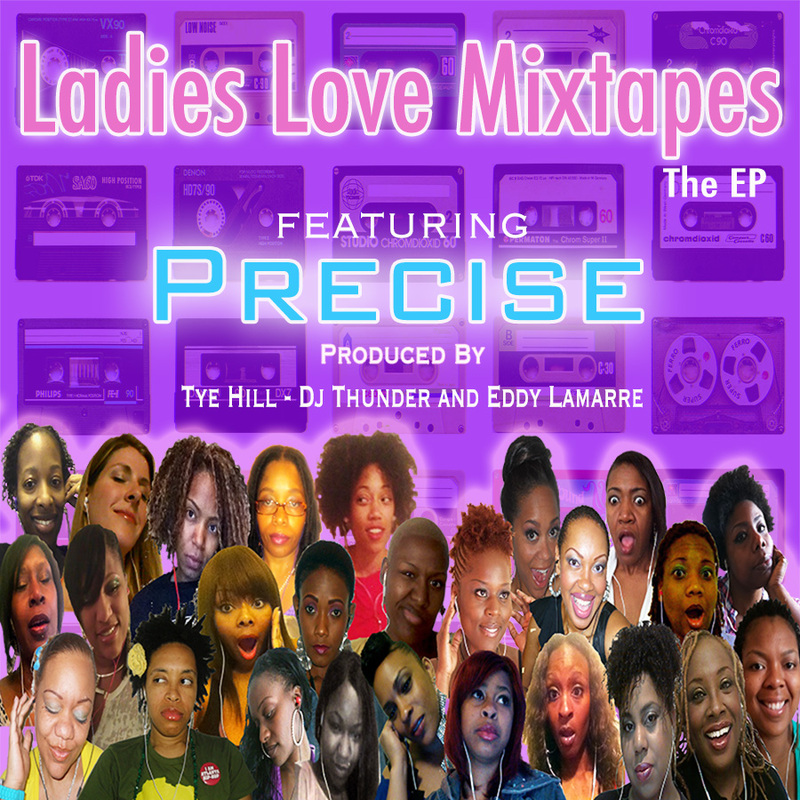 Precise Muzic is so excited to present to you “Ladies Love Mixtapes The EP” by Precise, produced by Tye Hill, D.J. Thunder and Eddy Lamarre. “Ladies Love Mixtapes The EP” is inspired by LOVE!! This project is a story based on the cycles of romantic relationships, the ups and downs the highs and lows. Precise stays true to Hip Hop culture while providing something relatable that can not be categorized as misogynist or degrading. Real experience for real people. This is Adult Hip Hop. Play This At Night! This entry was posted in Uncategorized and tagged break up, Chicago, dj thunder, eddy, emcee, gold, hip-hop, Kahlid, ladies love mixtapes, Lamarre, lavender, love, men, misogyny, Nasir, nya, Precise, precisemuzic, rap, relationships, Shaheim, tye hill, what ladies love, women by Precise. Bookmark the permalink.